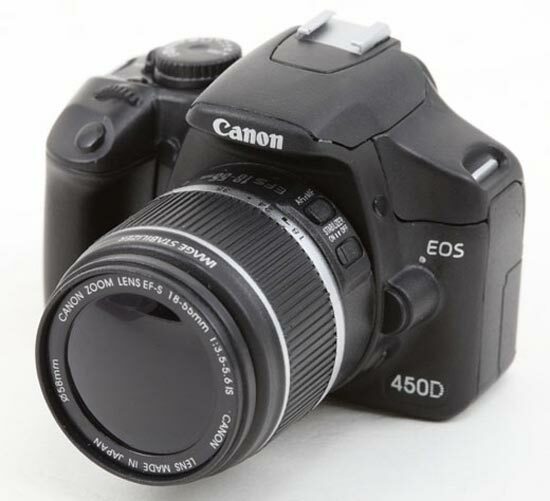 Some of our readers will remember the fun Canon 5D Mark II USB Flash Drive, that we featured on the site last month, well it looks like there is another version available, the Canon EOS 450D USB Flash Drive. 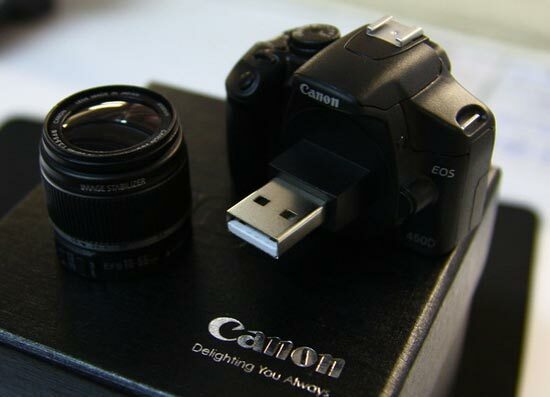 This fun Camera shaped flash drive comes with 2GB of storage, and the back panel lights up when you plug it into your PC. These fun USB gadgets are for sale on Ebay, with prices of around $100.